"I'm gunna fight you… Parking lot. After school. It's ON!" 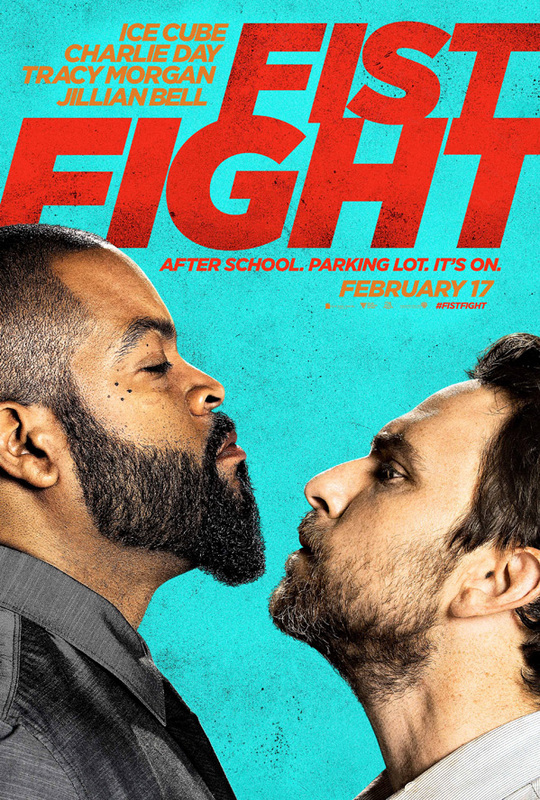 Warner Bros has unleashed the first trailer for a new comedy called Fist Fight, about an after school fight between Charlie Day and Ice Cube. Yep, it's as fun as it sounds, but there's tons of crazy stuff leading up to this battle - it's not just a simple fist fight, it's an epic rivalry. On the last day of school, these two teachers decide to finally fight it out at an "old-fashioned throw down". Just fire it up and see for yourself. Also starring Tracy Morgan, Jillian Bell, Dean Norris, Christina Hendricks, Dennis Haysbert, and JoAnna Garcia Swisher. From this teaser, this movie actually looks like it might be crazy enough to watch, just hoping they don't hold back at all. Let them fight! On the last day of the year, mild-mannered high school English teacher Andy Campbell (Day) is trying his best to keep it together amidst senior pranks, a dysfunctional administration and budget cuts that put jobs on the line. But things go from bad to worse when he accidentally crosses his much tougher and deeply feared colleague, Ron Strickland (Cube), who challenges Campbell to an old-fashioned throw down after school. News of the fight spreads like wildfire and ends up becoming the very thing this school, and Campbell, needed. Fist Fight is directed by American filmmaker Richie Keen, of a few shorts and episodes of "It's Always Sunny in Philadelphia" previously. The script is written by Van Robichaux & Evan Susser. Warner Bros will open Fist Fight in theaters starting February 17th, 2017 next year. Place your bets now! Hollywood says bullying is bad when it is kids, but when it is adults, it is supposed to be hilarious. I read the script last year. Not bad, but I think it would have been much funnier with Ice Cube in the weaker teacher role.